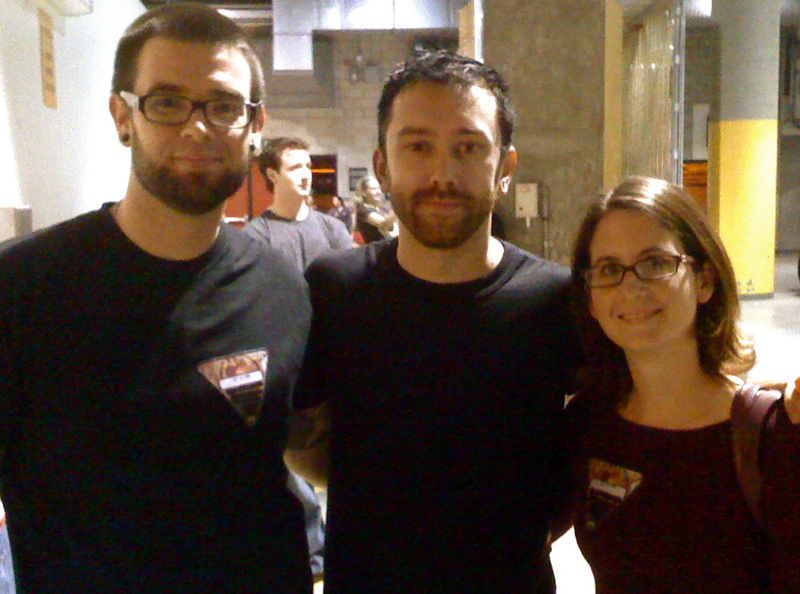 We spent some time with our friend Tim from Rise Against this week. Please support his band. Over the last month we’ve continued to reflect on our experience of eating on a dollar a day, and we’re still processing various aspects of the experiment. The main question we’ve been left with, and the one that many of you wrote us about is: What does it cost to eat healthy in America? So, we’re going to find out. We are embarking on a quest to discover the answer to this question. We’ve got our ideas and new experiments ready to go, and while we won’t list them right now, you can be sure that we’ll share our results. In fact, it’s the impetus for our book proposal concerning the subject. Through a number of new food-cost experiments, and research with professionals in nutrition, economics, and cultural studies, we will bring you with us on our journey. You’ll just have to be patient, and check back here for updates. If you’re new to this site, please note that to start at the beginning you’ll have to click “older entries” and start from “Day One“, otherwise you’ll be reading in reverse; which could be interesting too. Thanks for reading and sharing with us. P.S. We think we’ve received the last of the donations, and will be calling the Community Resource Center tomorrow to schedule a donation and photo-op for the press. Hopefully this will bring more attention to the organization and the essential services they provide. Your donations totaled right around $1500, which is impressive considering that most of you are complete strangers who entrusted us with your money.